Recently, Ubisoft CEO Yves Guillemot discussed the publisher’s intentions behind its more politically-driven titles. While titles like Far Cry 5 feature socioeconomic and political themes, Guillemot said Ubisoft’s developers try to remain impartial. This allows players to draw their own conclusions. Some argue it also allows developers an opportunity to cursorily dive into politics, without offering real depth. Based on a recent statement from CD Projekt RED Quest Designer, Patrick Mills, this may not be the case for Cyberpunk 2077. In an Official Xbox Magazine interview, wherein Mills also explains the reasoning behind Cyberpunk 2077’s first-person perspective, Mills teases how Cyberpunk 2077 tackles politics. Cyberpunk 2077 is a game about people with power at the top and people at the bottom with none. That power can come from money, hierarchies, technology and violence. The original Cyberpunk 2020 setting, like the setting of The Witcher stories, was a complex critique of the author’s world, and we don’t shy away from that in our games. On the contrary, I think it’s one of the things that sets us apart […] Cyberpunk is an inherently political genre and it’s an inherently political franchise. Rooted in transhumanism, Cyberpunk is indeed an “inherently political genre.” Such a future for humanity could come to fruition. A few of the more worrying concerns involve the battle between the haves and the have-nots. Human rights issues are also at the forefront of this kind of discourse. In the past, Deus Ex and its Eidos Montreal prequels have smartly explored the various nuances and political themes behind cyberpunk. It will be interesting to see which direction CD Projekt RED takes the discussion. 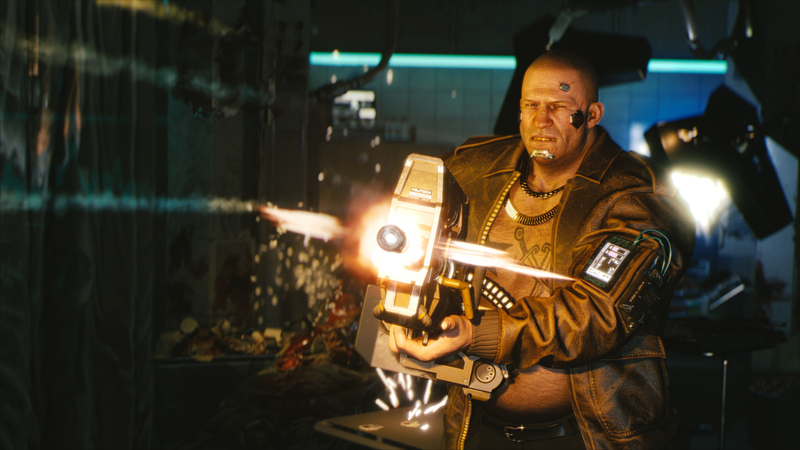 If their work on The Witcher and the persistent hints about choice and consequence in Cyberpunk 2077 are any indication, the developer’s latest project might also be remembered as well written.